The staff couldn't have been more helpful. They provided a cot, stroller, fantastic local information and booked our transfer, as well as discounted trips to Wild life park and the Great Barrier reef. 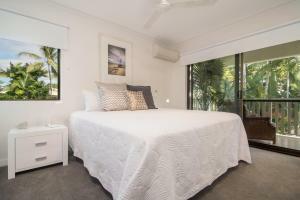 The location is wonderful... close to beach and shops. BIG THANKS to Sue and Michelle for their help in making our family holiday so special! We'll be back. Staff were fantastic! Location great, room size was good. Parking was a little confusing. And as there is a pin pad on door system, our code didn’t work 3 times! So locked out with little kids in no fun. That is my only con. Our stay was still fabulous!!! The upstairs bedroom had its own nice and diavipis outdoor area with sublounge and outdoor lounge. Great apartment, and Sue went out of her way to help us organise our time in PD. 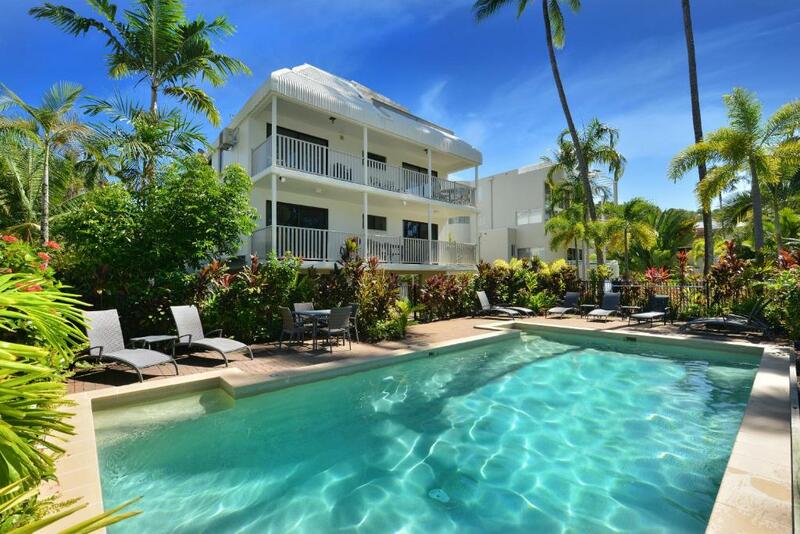 Great location, walking distance to the beach, shops & restaurants. Was quiet, clean and bed was comfortable. Sue was fantastic! Recommended and booked our reef snorkelling tour and was very responsive when we needed things or had questions. We really appreciated the extra late checkout due to our apartment not being available until 2:20pm (only 20 minutes late but we got to check out at 1pm on our departure). Sue!! She was so lovely, knowledgeable and helpful. She really made our stay that bit better. The apartment was great, generously sized, comfortable with great AC. 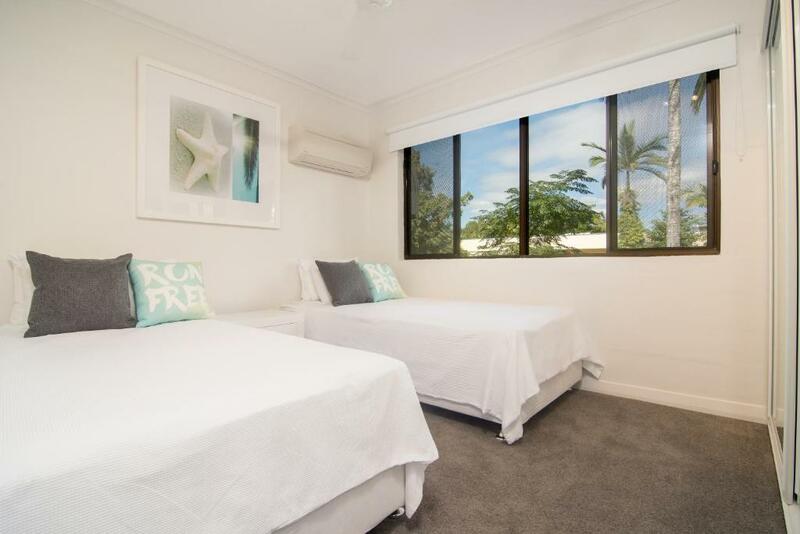 It's location is perfect, situated right between the beach and shops/restaurants. Will book again when next in Port Douglas. Sue was lovely with check in and helpful about things to do and restaurants to eat at. The apartment was lovely and comfortable and the view of the pool was great. fabulous location - cross the road and you were in the main street which was very handy with a 3yr old. We spent most of the time in the pool so a perfect relaxing time away. Lock in a great price for Tropical Reef Apartments – rated 9.3 by recent guests! Tropical Reef Apartments This rating is a reflection of how the property compares to the industry standard when it comes to price, facilities and services available. It's based on a self-evaluation by the property. Use this rating to help choose your stay! 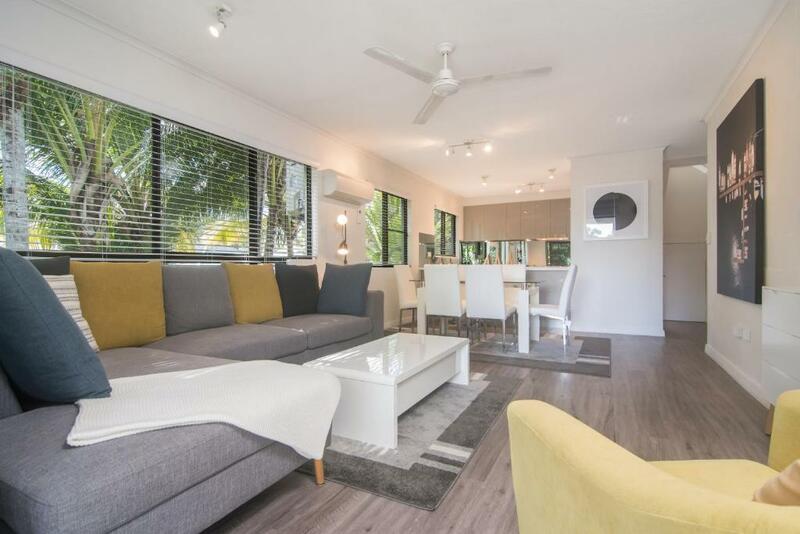 One of our top picks in Port Douglas.Tropical Reef Apartments offers fully self-contained, well appointed, 3 and 2-bedroom apartments, set over 2 levels, with a top floor private terrace. 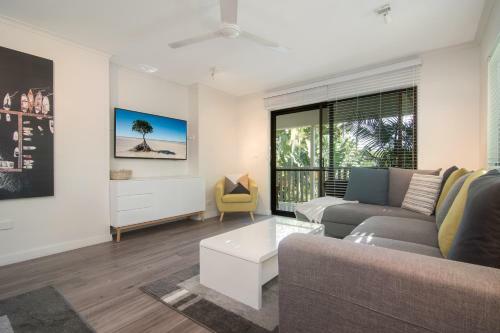 The apartments are only 150 feet from Macrossan Street's cafes, restaurants and boutique shops and only 800 feet from the famous 4 Mile Beach. Guests staying at Tropical Reef Apartments will have access to 2 saltwater swimming pools, a BBQ area and covered parking. 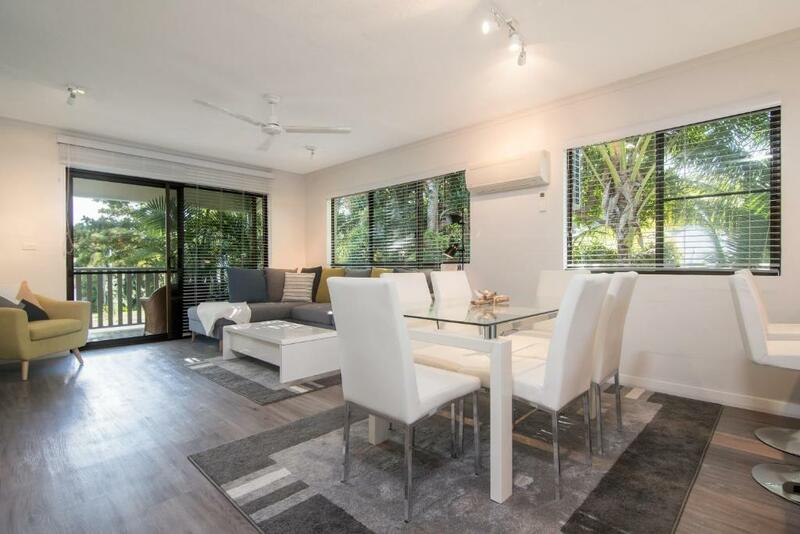 Enjoy soaking up the sunshine from the deck chairs of the spacious private balcony and taking advantage of the tropical climate with both indoor and outdoor dining areas. When would you like to stay at Tropical Reef Apartments? This apartment has a oven, barbecue and kitchen. Thank you for booking your holiday at Tropical Reef Apartments. We look forward to welcoming you! Port Douglas has so much to do and see! Ask our friendly staff for any local tips & advice on tours!! Hi im Bec, your host :) I am a Port Douglas local- please let me know if you have any questions. House Rules Tropical Reef Apartments takes special requests – add in the next step! Any additional children or adults are charged AUD 30 per night for extra beds. Tropical Reef Apartments accepts these cards and reserves the right to temporarily hold an amount prior to arrival. Please inform Tropical Reef Apartments of your expected arrival time in advance. You can use the Special Requests box when booking, or contact the property directly using the contact details in your confirmation. Located so near to everything ideal for walking. Swimming pool outdoor lights weren't working in the eve ..apartment was a bit dated but otherwise a pleasant stay ! We were disappointed that the advertised free wifi wasn’t available in the apartment (only in the pool area). This should be made clearer in the details. 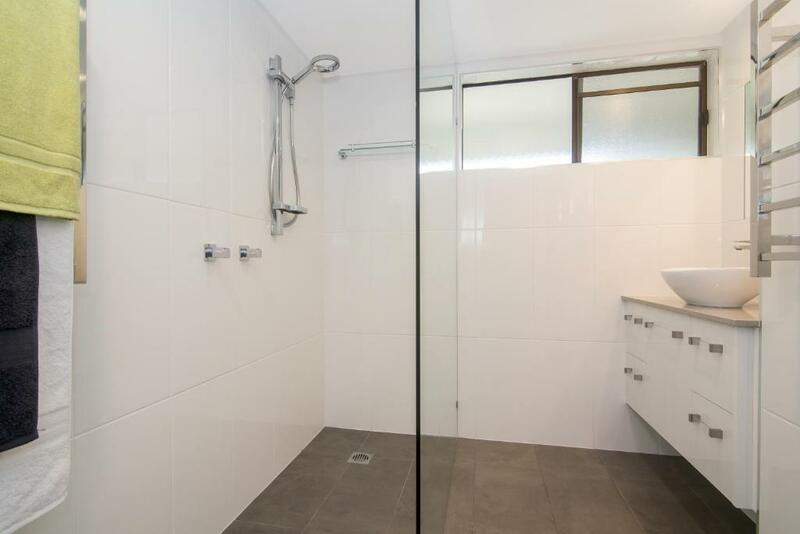 Shower over bath not easy. the pool was concrete pebble mix and our daughter scraped her toe and lost half her nail in the process, but recovered well. Great comfortable facilities and the location was perfect. Perfect location. Good sized rooms. Great setup and value for money. Little touches like the beach toys in the spare room for our three year old. Great location and facilities for a family. Our apartment was superbly clean. Location was so handy for absolutely everything and Becs was fantastic both as a host and then in helping us to choose trips and even helped us book them .. definitely went above and beyond, making what was already an amazing holiday, extra special.